Dems wants SCOTUS appointment to wait!!! Uh… NO! « SCOTUS rulings and how they affect us! NOT! Democrats screaming that the Republicans need to wait until AFTER midterm elections to appoint SCOTUS. Maybe we should… No thanks! 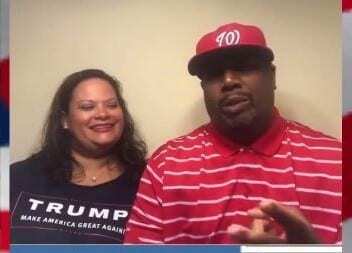 Our “T’d” off Black Conservative from Texas, Corey Duncan and Ana Maga discuss the state of current events. Maryland legislators want to provide an in-state college tuition break for people in the country illegally. Why do they keep voting in people who tax us more and give it to illegals? Only 3% of the population are exercising their vote. So we’re seeing minority rule. Where are the rest of the voters? Stop allowing 3% of the populous to decide the direction of our country.